Do you want to get started with business videos? Are you unsure of where to turn and on the fence about whether you should film videos for your customers all by yourself? You’re in luck because this guide can help first-timers just like you. We’ll be going over the 5 steps you’ll need to follow to create business videos your audience will not only love, but engage with and share with everyone in their network. We’ll also answer the most common questions beginners have about the video process as well. 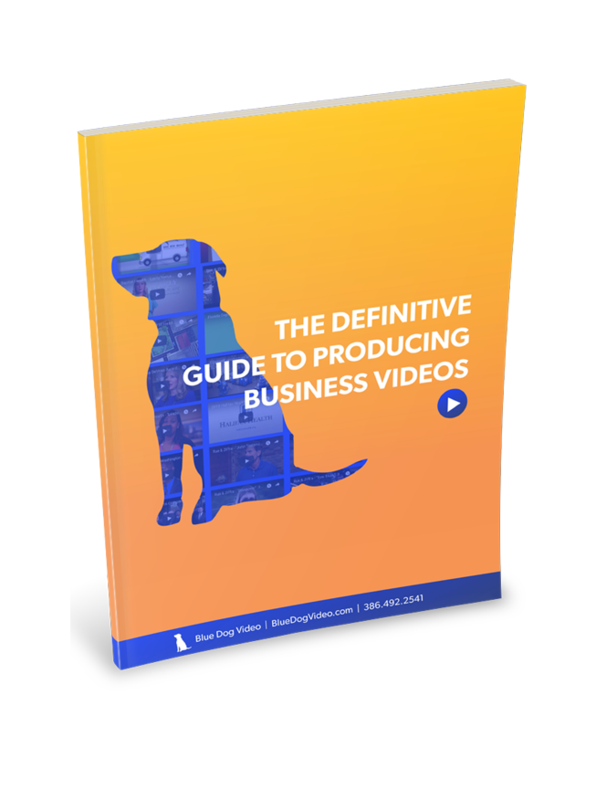 Though you may be filled with excitement and ready to roll, you can’t skip this first step if you want your business videos to be a success. As with any project destined for greatness, it pays to lay down important groundwork so you can build on a solid foundation first. And this is especially true when it comes to videos for your audience. This groundwork will help you create videos that capture your audience’s attention and motivate them to take action. Who is your target audience specifically? What do they need in order to take action? Narrowing down your target audience ensures you create a video and script that speaks directly to them. This helps get your point across while also connecting your message with the wants and needs of your ideal customer. Plus, when you figure out how you can help your potential customers, you’ll also know the type of action you want them to take next. Do you want them to call your company after viewing the video? Book an appointment online? Like your Facebook business page? Figure this out and you’ll save countless hours when it comes time to write your script. What is the goal for your video? Do you have a schedule or target deadline in mind? These answers will lead you in the right direction when searching for the best production company to use for your customer videos. It also helps your project run on schedule and stay in budget. With all that figured out, your next step is to come up with the message for your video. Don’t make the common mistake of “winging it” when it comes to your business videos. On the other hand, when you take the time to write out a script, you’ll have a roadmap with a targeted message and goal in mind. Speak like you would to a customer standing in front of you. This means using a conversational tone and losing the technical terms and corporate jargon. Keep it short and sweet. Get to the point sooner rather than later. With shorter attention spans, you can’t waste any time for your customers here. Come up with a strong call to action. Decide on one call to action and make sure your message and the ending of your video are aligned with this goal in mind. Generally speaking, 100 to 200 words on a page is equal to 1 minute of video. So you’ll need to decide how long you want your video to be so you can trim or add to your message accordingly. It also helps to decide on a general theme for your video so everything from the message to the backdrop and the shooting of the video itself supports this. Once you have your script typed up, you’re ready to move on to the next step. Now it’s time to brainstorm the specifics of your video. You’ll want to decide the backdrop, or location where you plan to film your video, first. This is an important element that helps steer future decisions like your outfit and microphone later. After all, you don’t want to choose an outfit that blends in with your setting, but you also don’t want one that distracts too much. And a beach backdrop may look serene on camera, but it may also be a sound editing nightmare if the wind or waves crash too loudly in the mic, for example. That’s why these elements are important to consider; they have the potential to destroy your video if you don’t take proper precautions. FInally, it’s also essential to consider the actors or personalities in your video. Ideally, you should use your customers, employees, or family members for the leading roles instead of paying actors to do so. This little bit of personalization helps you create an authentic video instead of one that appears too scripted or phoned in, which your current and future customers will definitely appreciate. With these items out of the way, you can then focus all your attention on this next step. Unless you have a qualified in-house videographer, it’s best to leave this job up to the professionals. Try filming yourself without experience and your video will end up looking unprofessional -- and may potentially tarnish your brand’s image. Choosing the wrong company can also have this same negative effect. So spend time researching video production companies in your area and sift through both their portfolio pieces and customer reviews. That’s the best way to find one with the experience and reputation necessary to deliver high-quality videos for you. Try to also prepare a list of questions to ask potential production companies as you interview them. And don’t forget to ask for a price estimate given your target deadline so there are no unexpected surprises later on. Since this subtopic requires a bit more information than we’re covering today, we’ve created a separate guide to help you find the right video production company the easy way (coming soon!). Check it out when you’re done reading this one. When you cross all these items off your checklist, you’re ready to move on to the final step. When you find the right production company to use and lay down your goals and message clearly, your last step is to actually film the video itself. This is where everything really starts to take shape. But, keep in mind, it’s still just the beginning of the process. 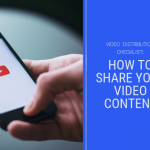 Once you shoot your video, it will still need to be edited, optimized, and distributed -- all of which we’ll talk about in future guides to help you out. Be sure to check back here for the next part in our series on creating business videos for first-timers. And if you’re ready to get started with customer videos today, visit this page now to see the perks of using a reliable video production company to make them come to life. Since your videos are an extension of your brand, don’t skip any of the steps in this guide and find a high-quality video production company you can trust. Do this and you’ll create videos capable of capturing, engaging, and motivating your target audience to take action for years to come. 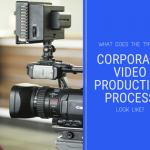 Ready to Get Started with Professional Video Production?